Rooting an android phone is a no longer a long process. Thanks to the applications which make rooting a process of seconds. Scroll down to root your phones with those apps and enjoy the privileges. What is android root and how to root android without pc? How to root an android phone without pc and root android with pc ? Root on android phone gives you all the privileges that the manufacturer won’t normally allow. It is equivalent to Apple’s jail breaking. It is basically an access to androids operating system code. There is a wide assortment of reasons why people prefer to root android devices. It gives the privileges which a normal android phone won’t give like such as un-installation of the pre-installed apps, flashing of the custom ROM, blocking the ads. Hence, Android users should ensure to choose an App that can offer a successful rooting facility. You can also know about the new Android Go Edition here. Kingo root has earned a high reputation as one of the best root apps for the android. It is equipped with APK and PC versions and comes at absolutely free of cost. It possesses a simple interface along with a possibility to get access to root without any sort of technical assistance. Kingo root stands out of the ordinary in providing the most convenient and fastest Android Rooting experience. With a few simple steps, it is possible to get the rooting of the phone done in no time. In addition to this, it bestows support to mainstream Android 1.5 to 5.0 models from varied manufacturers such as htc desire 10 pro , Google Pixels, Huawei, Sony, etc. 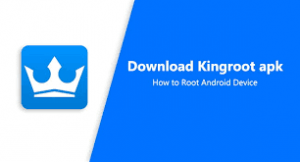 The Kingo root app is mainly for android phone though one can also connect their phone to their pc via usb to root it. Here’s the link from where you can download kingoroot apk for free. It is another popular android tool which is used for the management of root access. With it’s help, users can deny or grant permission for apps as they are asked for access to root. It is capable of recording history and thus it enables the apps to gain access to the root without the need to ask again. It offers options for rooting the android phone or tablet completely or temporarily. One of the most prominent reasons why users are fond of this app is due to the fact that it does not put any additional burden on CPU or RAM. It also showcases amazing performance. You can download SuperSU with the below given link. It is considered to be a popular tool which does not need any system for the rooting of the Android phone. As the name suggests, a single click is sufficient for the rooting of the device i.e. With a single click, it is possible for you to root the android device instantly and unlock the complete potential. It bestows support to Android versions of 1.5 to 7.0. It functions in a perfect way with Motorola, LG, Sony Ericsson, Samsung, oppo neo 7. If you are a newbie to rooting, it is definitely the most suitable option for you. To root a phone with one click root for pc or phone click on the link given below. Though it sounds similar to Kingroot, both of them are known to be different apps to root. It is equipped with a preinstalled purify tool. Also, it ensures that the battery of the phone doe does not drain out. This tool is useful for optimizing the functions and It renders support to Android 2.2 to 7.0 Android Nougat across different phones and tablets. It can be used at ease and does not need any sort of professional support. To Download Kingroot for pc or phone click below. The apps mentioned above are primarily designed for beginners . They can be used at ease and you do not need any sort of technical assistance to root the Android phone. It also has a simple and hassles free installation process.